It’s the weekend! What a great time for a road trip! Each day of this weekend, I’ll be sharing a recent road trip I took. My hope is that, even if you don’t take the route I did, you’ll get some tips and inspiration for wherever you go! Yesterday, I shared a coastal road trip built around meeting my favorite speaker. Today, I’ll tell how a road trip allowed me to face my fears and overcome pain. Exactly one week after my car was hit, I was still overcoming fears that were brought on the night of the crash. Since I was turning left when it happened, I had to psych myself up every time I needed to turn left. (I have heard of people who make three rights to avoid ever turning left, but I knew right away that I didn’t want to live in fear or make big adjustments to my life from one crash.) I was already starting to overcome my fear of the intersection where it occurred, since I drove through it almost every day. Because the driver that hit us was from California, to be honest I was a little nervous about California drivers. Thankfully, my car insurance provided a rental car for one month. 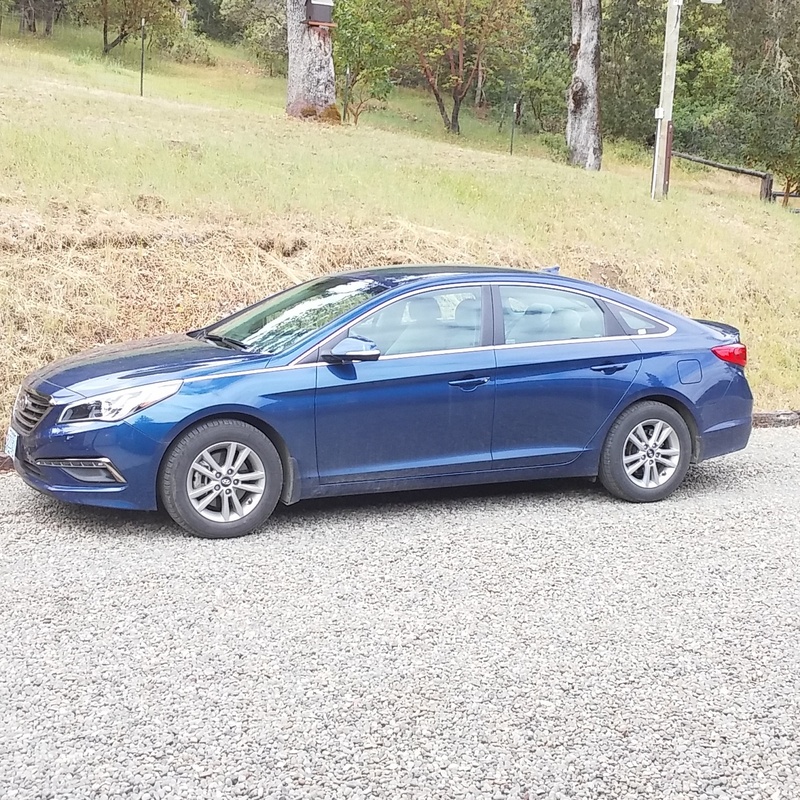 It was a blue Hyundai Sonata. I took it one one road trip during the time I had it. Within the first five minutes of that trip, I decided that Sue would be the perfect name for this car. Sue Sonata was my Sue-bstitute for my Sue-baru. But that road trip involved a lot more than just naming a car. I had been considering taking a road trip all that week, but wasn’t sure if I was up for it. I was still in a lot of pain, not to mention the mental obstacles that come with driving long distances so shortly after an emotional crash. So when I decided on Saturday morning that I should face my fears and have some fun along the way, I was scrambling for where to go and places to stay. Several ideas I had resulted in finding no nearby accommodations that were both affordable and available, but I eventually found an AirBnB in Redding, California. 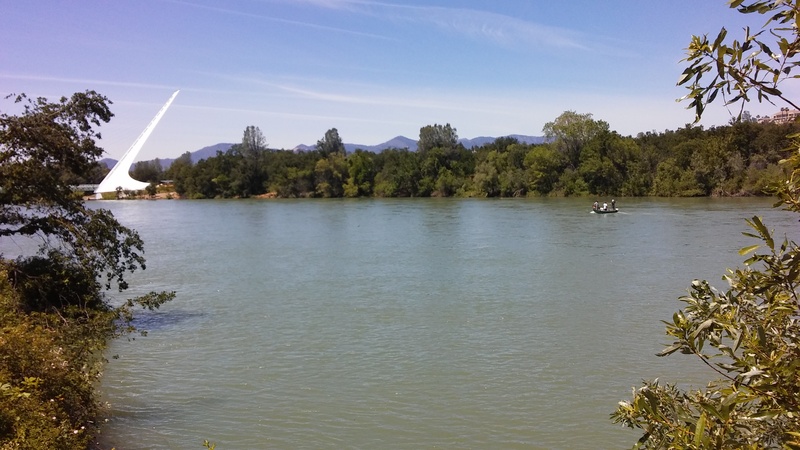 Redding has been a stop on several of my trips, but never a destination. 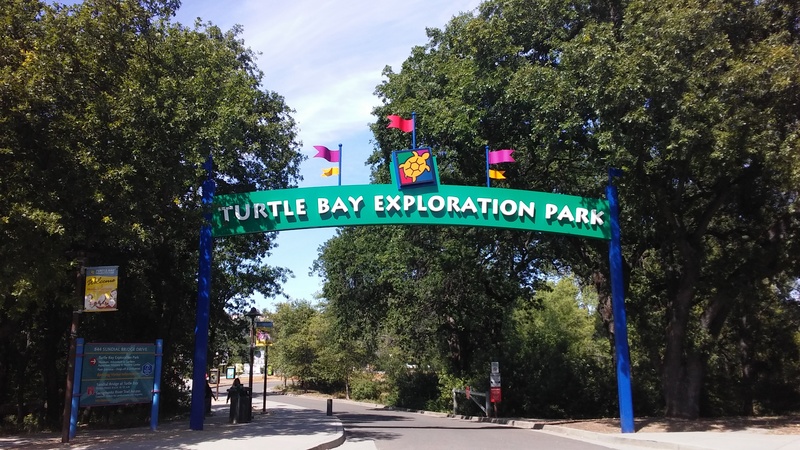 I’ve enjoyed several walks across the Sundial Bridge and around the surrounding Turtle Bay Exploration Park. In middle school I even had fun on a Girl Scout trip to the Redding Water Slides. 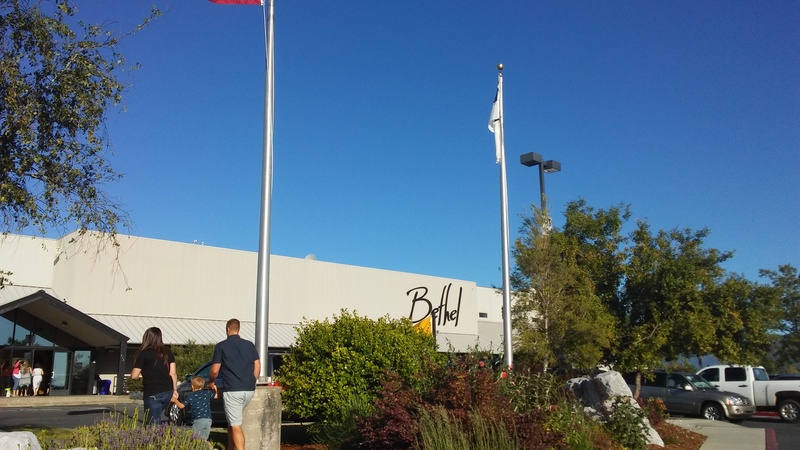 But one popular thing to do in Redding, especially for Christians, is attend a worship service at Bethel Church. That would be at the top of my to-do list for this trip. Redding is about three hours away from my home in Southern Oregon. Since I didn’t leave until after lunch on Saturday, I only had the late afternoon and early evening to spend in Redding. I started out by checking into my AirBnB. The hosts attend Bethel, and many of their other guests also come primarily to attend Bethel, so they gave advice on when to leave in the morning. I was surprised that people are waiting to get into the sanctuary over an hour before service starts! I also learned that the 8am service was the least crowded, so I set my alarm to get up for that. Then, I headed off to explore Redding. The waterslides weren’t in my budget, but I still enjoyed the (very Northern) California May weather by going to the local YMCA, which has both an indoor and outdoor pool. 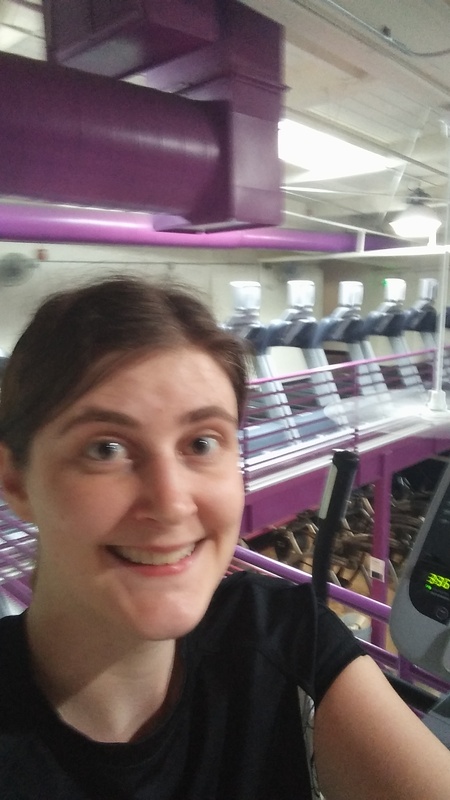 At the time, I had a membership to my local Y, which allows for free access to just about any Y location in the world. I was a little disappointed that they didn’t have a sauna, though. The Ys near me have them, and since I hadn’t started chiropractic work yet, the heat was really helping my injured shoulder and other sore muscles. But I still got a decent workout in. Next, I headed to 7 Eleven with a popcorn bucket. It was Bring Your Own Cup Day, after all! I try to take advantage of good deals like this, no matter where I am. It’s just one way to enjoy yourself while still saving money for travel. I must confess: when traveling, I often replace a meal with ice cream. 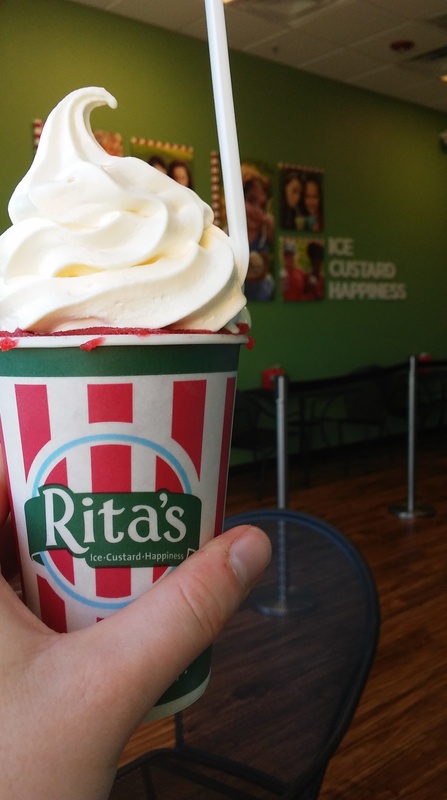 The Slurpee wasn’t filling enough for a meal, so I dined on Rita’s ice and custard. The last time I ate this was when I lives in Ohio three years ago, so it was definitely a treat. Then, I attempted to spend the evening in Turtle Bay Exploration Park. Unfortunately, when I got there, it was really crowded. I realized that there was a rodeo going on next to the park, and attendees were parking miles away since the nearby lots were full. I had no interest in attending the rodeo, and I didn’t want to walk so far just to get to the park, so I left. I wasn’t that upset for a few reasons. I had already been before, I might be able to go after church the next day, and my AirBnB had a great view of the Sundial Bridge from the back patio. I spend some time looking over the cityscape while munching on my giant Slurpee. I spent the quiet evening trying to write and learn about Bethel. Other than hearing the occasional Bethel Music song on Christian radio, I didn’t know too much about the church doctrine or leaders. Up before my alarm went off, I got ready, packed up, and headed off to Bethel. My plan was to attend two services back-to-back, and visit the Alabaster Prayer House. I had no trouble finding parking or a seat for the 8am service, though the front half of seating was already reserved. While the song selection and pastor’s message were the same in both services I attended, there were still differences. The worship in the second service was more experiential, with flag wavers and more complex lighting. That service also had a baby dedication that seemed more like a walk down the red carpet. Instead of just one or two babies, there were over twenty being paraded by their parents as their names were announced and pastors lined up to pray for them. The first service seemed more like a church service I would typically attend, but because of its smaller attendance, it offered something that the other one didn’t: the opportunity to wait in line after service to be prayed over for physical healing. I had heard about Bethel’s physical healing ministry on Saturday mornings, but didn’t think there would be the opportunity on Sunday. I am not sure if it was a normal thing or because the theme of the morning sermon was healing, but since I still had all the pain of a recent collision, I decided to take them up on this offer! Unfortunately I didn’t receive immediate healing like some people do, but my chiropractor has been saying that I am recovering quickly, so maybe these two are connected. Between services, I was hungry due to only having leftover Slurpee breakfast. So I headed to the church cafe, called HeBrews. I ate a muffin on the patio, then got into the line for second service. When I got into the sanctuary, I didn’t see any available seats. Lots of people were standing against the side walls, so I joined them. I later learned that these standing people could join live worship, but would then sit in another room while the service was streamed to them. I didn’t join them, however, because a woman came up and told me there was an empty seat next to her. After the second service, I went to the greeters who welcomed first-time visitors. They gave me a calendar and a coupon to download free sermon, which I still haven’t taken advantage of. Then I walked over to thw Alabaster Prayer House. This was a cute little building offering communion, books, a fountain, and other resources that contributed to a mindful place to pray. Outside of that was a garden that I decided to walk through, especially after looking down at the driveway and seeing all the cars coming and going as slow as molasses! When I did leave, I headed over to Turtle Bay. One thing I have wanted to do here for a couple years now was hike the trails. So after the mandatory sundial selfies, I started down a trail, but stopped at a bench overlooking the water. A couple with a thick accent asked to sit next to me. It turns out they were from Paris, but were visiting Redding for several days to attend a Bethel conference as well as church this morning. So we talked about church as well as my trip to Paris two years ago. Then I continued down the path. I saw deer and a lot of beautiful spots along the water before I ended up next to the freeway. I then turned and walked a path that had the freeway on one side, and a marshy preserve on the other- quite the contrast! I walked some on the other side of the water, but the scattered path, hot sun, and hunger eventually forced me to turn around. Back on the road, I sipped some soup from a mug as I listened to music and enjoyed the forested Shasta Lake area. Soup was not appeasing my hunger, though. When I saw a sign for The Pizza Factory, I recalled how in high school my youth group once went there after a houseboat trip. I guess I was too busy remembering the past, because I missed the exit for it. Fortunately, there are three Pizza Factory restaurants along the NorCal I5. I stopped at the Weed one, which turned out to be the same one that my youth group had gone to anyway. 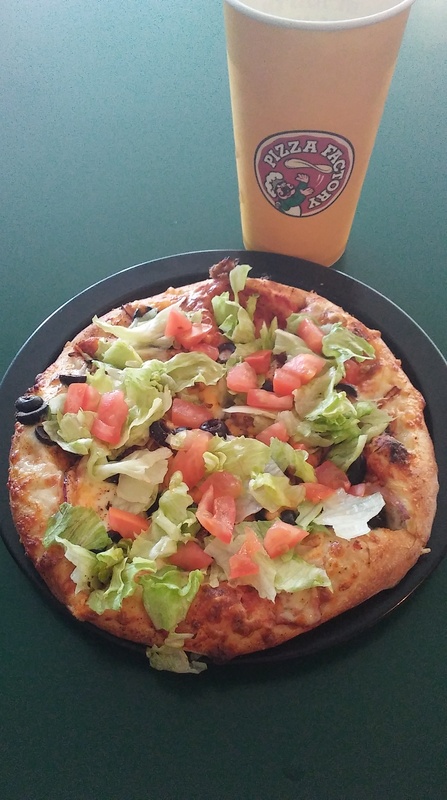 I enjoyed a delicious taco pizza. The rest of the drive home was pretty mundane, although I did feel a little accomplished safely driving past the town where the other driver in the accident lives. In just one quick weekend trip, I drove long distances, drove among many California drivers, turned left in plenty of intersections, started the physical healing process, and even enjoyed most of it. I wasn’t sure if I would get my car back, but it was even better to have my life back! What fears have YOU overcome while traveling? Tell me in the comments! Click here to get an account and discount on your next AirBnB stay. We’ll both benefit from this affiliate link!